Before tell you the 3D auto focusing laser makring machine fuction,let our enginners clearly for you how 2D laser marking machine working. 2D laser marking machine system,when talking about auto focusing,actually the machine will still request some manual operation,therefore for a 2D laser marking system,it's actually semi-autofocusing,not fully autofocusing. Two or three red light pointers is a must for auto focusing. 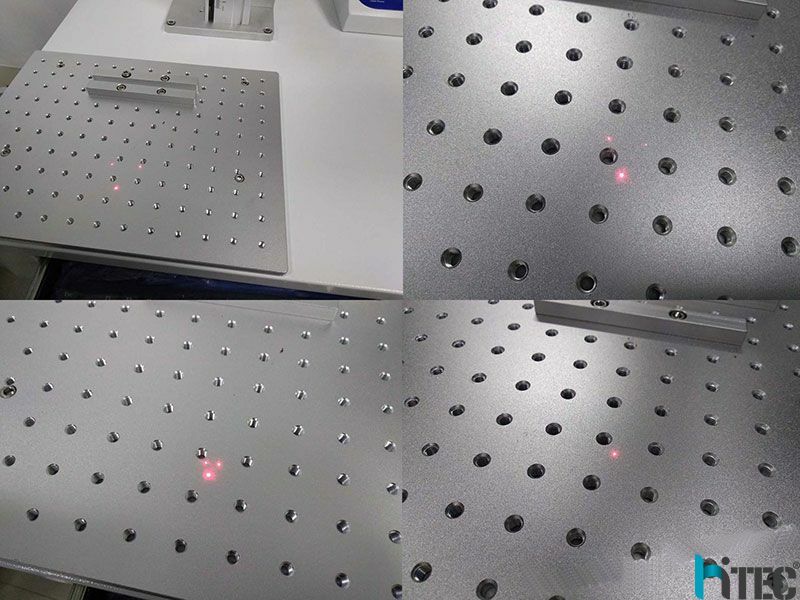 Roating the lifting shaft to adjust the distance between the laser lens to the material surface,when the red lights are come together into a spot, it comes the focus place. 3D laser marking system,the auto focusing is fully achived.It's actually 3D dynamic laser marking. By up and down buttons, the z axis will raise or bring down to adjust the first focus,then after start marking the laser beam will move automatically up down left and right based on the shape of the design to be marked or engraved,it's widely used for 3D embossed gold coins or bars in jewelry industries. This 3D laser marking machine system we produced is with Sino-galvo 3D laser scan head,laser source options includes all the famous Chinese laser brand:Raycus,JPT,MAX,Super,with laser power from 20W,30W to 50W. Customers can choose the configuration depending on their needs. Prev : whats laser cutter machines advatage? Next : whats the mopa laser color marking machine?